A Boulder, Colorado native who practiced Emergency Medicine for over fifteen years, Dr. McCaffrey moved to Hawaii and founded the Work*Star Injury Recovery Center in 1990 at Queens Medical Center West in Leeward Oahu. Shortly thereafter upon extensive research he developed the Aquatherapy Center at PT Hawaii-Waipahu. His concepts have evolved into a multiple location, integrative rehabilitation program which address the needs of patients with acute and chronic musculoskeletal injuries and rheumatological disorders. A strong advocate of water based care, Dr. McCaffrey has been a pioneer in aquatic therapy through devolepment of a 100,000 gallon indoor, solar heated, salt water pool facility in leeward Oahu. By reducing gravity through buoyancy, this approach has proven especially effective in people with spinal injuries, multiple regional trauma disorders and multiple joint arthritic dysfunction. Now, in its twenty-seventh year of operation, Work*Star and PT Hawaii have successfully treated over 40,000 patients covering a broad spectrum of injuries that occur at work, play, home, or on the hightway. The organizations have been recognized as innovators and leaders in the field of patient-centered rehabilition. 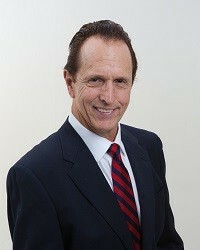 Dr. McCaffrey is known for his patient advocacy and adherence to the time honored medical values of the Hippocratic Oath. He has served as president of the Honolulu County Medical Society, the Hawaii Medical Association, the Hawaii Injured Worker Alliance and the Work Injury Medical Association. 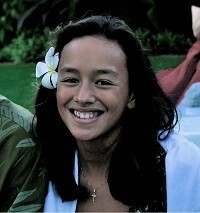 Shaye Story was born in Honolulu December 20, 2002 and has lived in Mililani her entire life. Since kindergarten Shaye has attended Kamehameha Schools – Kapalama. Now a high school freshman Shaye is enjoying many of her classes, but she especially likes biology. For the past 7 years Shaye has been part of Kamehameha Swim Club making life-long friends and competing in the pool. Freestyle events bring a smile to her face. Years of swimming has allowed Shaye to make a natural transition into water polo. Though relatively new to the sport Shaye has grown to love the team work and intensity of the game. When not studying, hanging out with friends, playing in the ocean or competing in the pool Shaye can be found at home relaxing with her dog or baking delicious desserts.